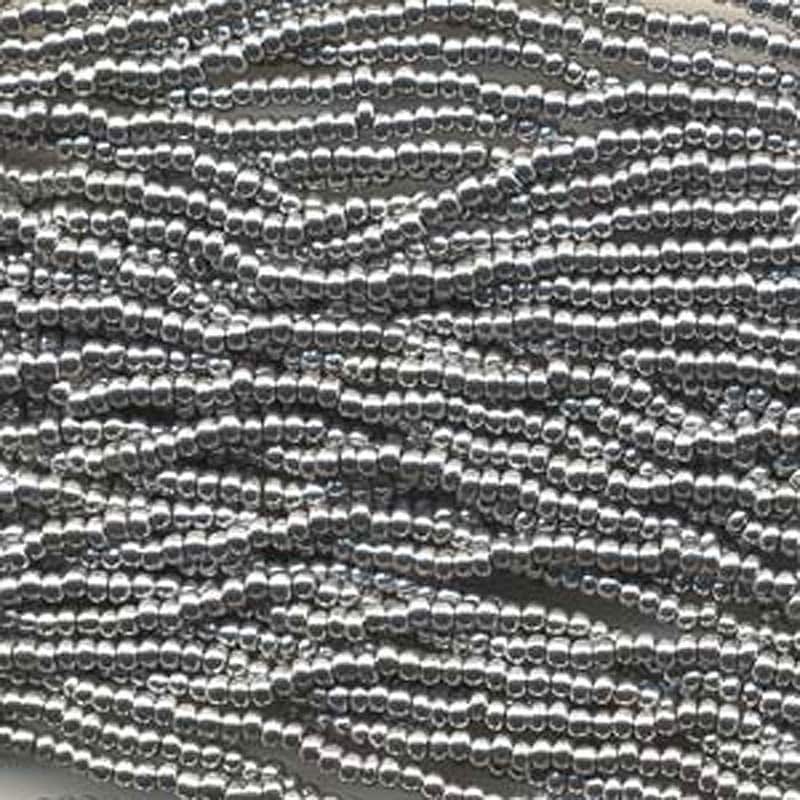 Bright silver metallic size 8/0 Czech glass seed beads. Size 8/0 beads measure about 3.1mm; there are about 37 grams of beads on this 6 string half hank, about 13.5 beads per inch....that's around 1,600 beads! Plenty of beads for your beading, looming, kumihimo, knitting, crochet, fiber arts projects! Love these strands of silver czech glass beads! Would order from this shop again.